Temasek’s venture debt arm InnoVen Capital said it has committed another Rs 40 crore ($6.16 million) to online buying hub for small and medium enterprises Power2SME. The company will use the investment to strengthen its position in the business-to-business space in India, a statement from InnoVen said. InnoVen had first provided venture debt to Power2SME in 2015. In addition to venture debt, InnoVen will also support the company‘s working capital needs through its partner financial institutions, said Ashish Sharma, chief executive at InnoVen Capital India. "Raising venture debt helps us conserve equity, minimise dilution and extend the runway,” said R Narayan, founder and CEO, Power2SME. “Our partnership will help accelerate our transformation while better positioning us to execute on our strategy and mission to enhance our business offerings for the MSME sector,” he added. Venture debt is an important funding tool for companies as it rarely involves stake dilution by promoters. It also provides companies more time to grow. 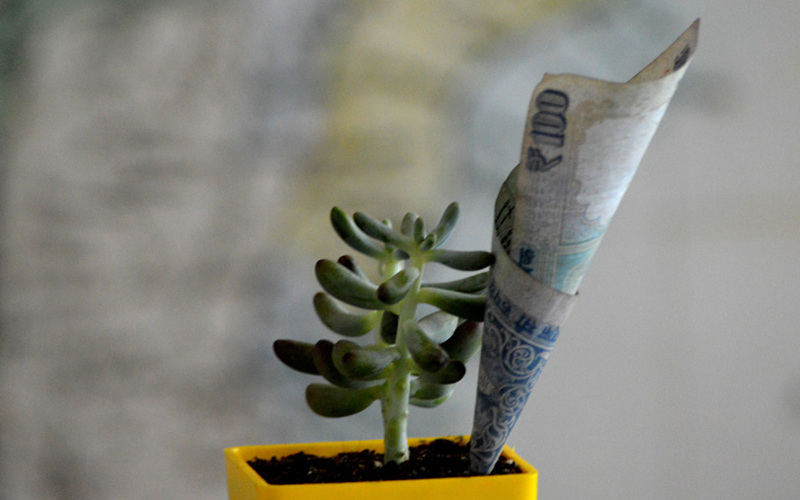 The segment is growing in India even as venture capital activity is seeing a slowdown. The investment for Power2SME comes nearly seven months after it raised an additional $26 million (Rs 166 crore) in its Series E equity funding round from existing investors Inventus Capital Partners, Accel Partners, Kalaari Capital, and Nandan Nilekani in September last year. The International Finance Corporation (IFC) had also committed $10 million to the firm’s Series E round in May 2017. Power2SME, operated by Gurgaon-based BEBB India Pvt. Ltd, was founded in January 2012 with a seed capital of Rs 2 crore and started operations in July that year. The company operates like a buying club, offering information and tools that enable SMEs to reduce their procurement costs. It helps SMEs eliminate the need to engage with multiple vendors, provides doorstep delivery of goods through logistics providers, offers flexible payment options, and accepts orders online 24×7. The company caters to industries such as construction, manufacturing, precision engineering, and automotive original equipment manufacturers. Other firms in the online B2B space that have struck venture debt deals include Industrybuying, which on Tuesday raised Rs 12 crore ($2 million) in debt from BlackSoil Capital Pvt. Ltd. In October last year, OfBusiness, which provides financing to SMEs, secured Rs 25 crore ($3.8 million) in debt funding from Kotak Mahindra Bank. The venture debt firm had disbursed $75 million (about Rs 477 crore) and committed another $10 million last year. In January, it said that the total amount of venture debt extended by InnoVen India since its inception has exceeded $270 million across more than 165 transactions in 110 companies. In 2017, InnoVen Capital had invested 70% of its capital in business-to-consumer (B2C) companies as compared to 30% in B2B firms. The key sectors were e-commerce, enterprise-tech, logistics, travel and food. Last year, it invested Rs 100 crore in travel portal Yatra, which was its biggest venture debt deal till date. In an interview with VCCircle recently, CEO Sharma said InnoVen has the appetite to write larger cheques. Other portfolio firms of InnoVen include Swiggy, Capillary Technologies, Rentomojo, Belong, Blackbuck, Pepperfry, NestAway, ShopClues and Mswipe. Trifecta Capital Advisors, Alteria Capital, Capital Float, IFMR Capital and Lendingkart are other major players offering debt funding in India.